He’s built, exited, led, and invested in over 13 companies. Dinesh made it clear from the beginning that he wanted a return on his investment. Suffice to say, he has the entrepreneurial itch, and he wanted to make it clear to entrepreneurs that he’s around to help with their new businesses. 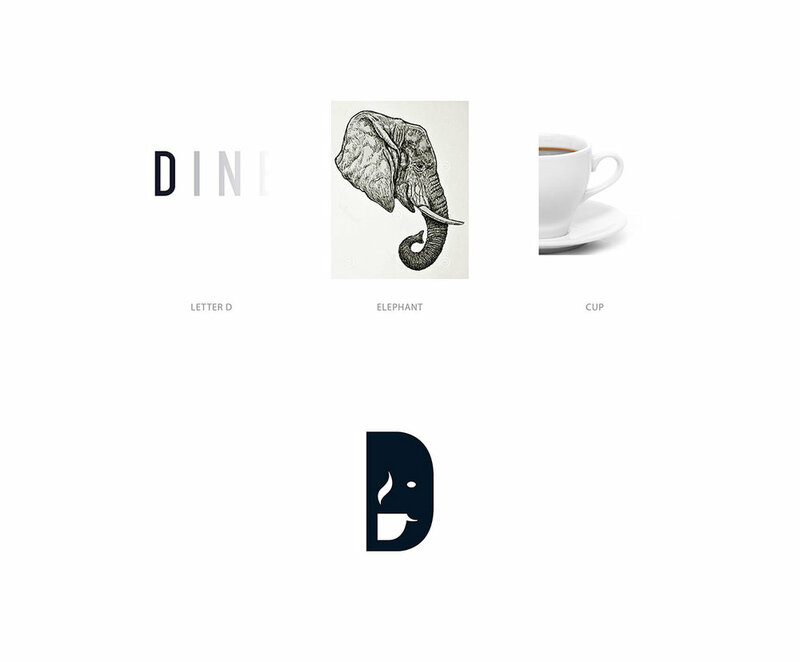 For his logo, we combined three symbols of great importance to Dinesh. First, a D, to represent his name. Second, an elephant, which has cultural significance and represents wisdom. And last, a coffee, which subscribes to Dinesh’s belief in the transformational power of a meeting over coffee. Like completing a puzzle, all three symbols work together to create Dinesh’s logo. The other elements of the brand are grounded, but still professional in execution. Navy and purple, an unexpected combination, bring life to the brand. 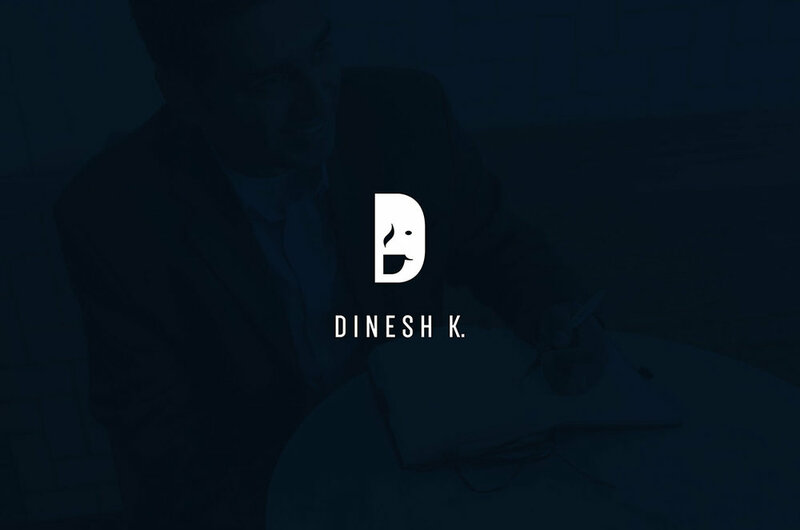 Dinesh wanted to get more speaking opportunities, so we branded his areas of expertise with custom icons. Each icon was crafted with coffee in mind. Dinesh is kind and seriously passionate. His existing website didn’t show his quiet confidence or curiosity. We needed to position Dinesh as the expert that he is.